Totschooling enjoys partnering with companies to promote educational products, toys, books, apps and other resources for parents and teachers. All links will be no-follow. All sponsored posts will be disclosed as such. Totschooling is a popular education blog focusing on creative learning activities for children ages 1-6 years. 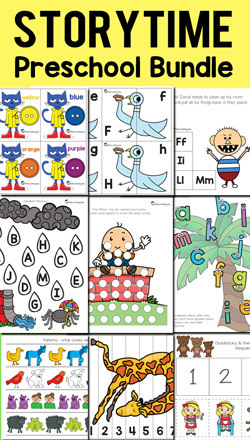 Specializing in hands-on printable activities, Totschooling is a leader in educational printables for busy parents and teachers. Totschooling readers are mainly U.S. mothers, preschool/kindergarten teachers, daycare providers and homeschoolers. It's not about defining the best, it's about understanding that both are a perfect effective complement, "says William Henostroza, CEO of the Digital Marketing Agency Tresmedia. I was searching for kids blogs and found one of your articles. Is there anyway that I can guest blog on your site?